● We have public blogs on our Website. Any information you include in a comment on our blog may be read, collected, and used by anyone. If your Personal Information appears on our blogs and you want it removed, contact us at PropheticsGallery@gmail.com or click the “unsubscribe” link found at the bottom of every email. ● Social media platforms and widgets. Our Websites include social media features, these features may collect information about your IP address and which page you are visiting on our Website, and they may set a cookie to make sure the feature functions properly. Social media features and widgets are either hosted by a third party or hosted directly on our Website. We also maintain presences on several social media platforms including Facebook, Twitter, LinkedIn and Instagram. Any information, communications, or materials you submit to us via a social media platform is done at your own risk without any expectation of privacy. We cannot control the actions of other users of these platforms or the actions of the platforms themselves. ● Web Beacons.​ Our Company and third parties may also use small pieces of code called “web beacons” or “clear gifs” to collect anonymous and aggregate advertising metrics, such as counting page views, promotion views, or advertising responses. These “web beacons” may be used to deliver cookies that conform to our Company’s cookie requirements. If you do not want to receive communication from us in the future, please let us know by sending us e-mail at PropheticsGallery@gmail.com. If you supply us with your postal address online you will only receive the information for which you provided us your address. International Transfers of your Personal Information Information collected from you may be stored and processed in the United States or any other country in which our Company or agents or contractors maintain facilities, and by accessing our sites and using our services, you consent to any such transfer of information outside of your country. European Union or Swiss individuals may refer to the Privacy Shield statement with regard to the transfer of their personal data. We have appropriate security measures in place in our physical facilities to protect against the loss, misuse or alteration of information that we have collected from you at our site. The GDPR also applies to the merchants and partners of Prophetics Gallery who operate in the EU/EEA (European Union/European Economic Area) or Switzerland and offer goods or services to residents of the EU/EEA or Switzerland. While Prophetics Gallery is performing action to be compliant with GDPR, and to provide its merchants with tools to help its merchants comply, each merchant is ultimately responsible for ensuring that their business complies with the laws of the jurisdictions in which they operate or have buyers. Using Prophetics Gallery does not guarantee that a merchant or partner complies with GDPR. When it comes to the collection of personal information from children under the age of 13 years old, the Children's Online Privacy Protection Act (COPPA) puts parents in control. The Federal Trade Commission, United States' consumer protection agency, enforces the COPPA Rule, which spells out what operators of websites and online services must do to protect children's privacy and safety online. We do not specifically market to children under the age of 21 years old. Our company markets to 21 years of age and older. 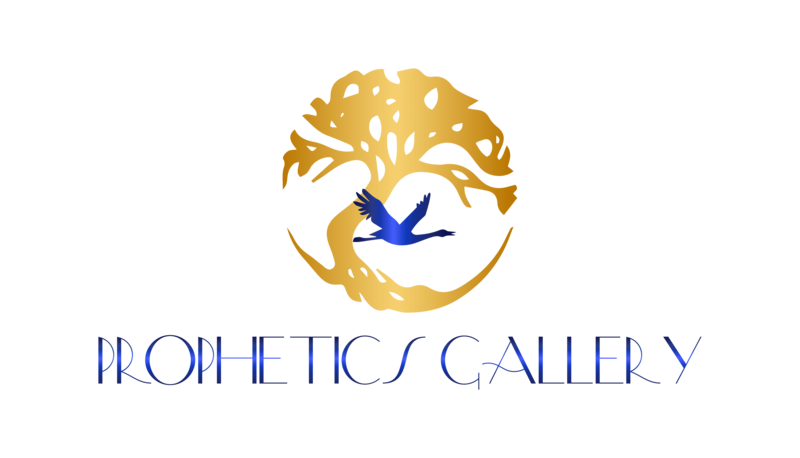 If you have any questions about this Privacy Statement, the practices or concerns of this site, or feel that the site is not following its said policy, please contact our Privacy Officer at: PropheticsGallery@gmail.com. “Personal Data” means information that (1)is transferred from the EU/EEA or Switzerland to the United States; (2) is recorded in any form; (3) is about, or pertains to a specific individual; and (4) can be linked to that individual. “Sensitive Personal Information” means personal information that reveals race, ethnic origin, sexual orientation, political opinions, religious or philosophical beliefs, trade union membership or that concerns an individual’s health. Prophetics Gallery may receive Personal Data from its own personnel as well as from its affiliates and other parties located in the EU/EEA. Such information may contain names, addresses, email addresses and payment information and may be about customers, clients of customers, business partners, consultants, employees, and candidates for employment and includes information recorded on various media as well as electronic data. Other than its own human resources data, Prophetics Gallery generally does not collect Personal Data directly from individuals. Prophetics Gallery, however, acting as a data processor may receive Personal Data via its customers. 1. We shall inform an individual of the purpose for which we collect and use their Personal Data and the types of third parties to which our Company discloses or may disclose that Personal Data. Our Company shall provide the individual with the choice and means for limiting the use and disclosure of their Personal Data. 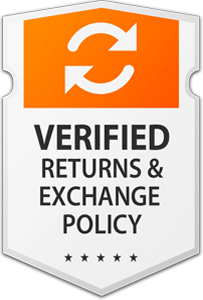 Notice will be provided in clear and conspicuous language when individuals are first asked to provide Personal Data to our Company, or as soon as practicable thereafter, and in any event before our Company uses or discloses the Personal Data for a purpose other than for which it was originally collected. Prophetics Gallery may be required to disclose Personal Data in response to lawful request by public authorities, including to meet national security or law enforcement requirements. 2. Individuals have the opportunity to choose (opt out) whether their Personal Data is (1) to be disclosed to a non-Agent third party or (2) to be used for a purpose other than the purpose for which it was originally collected or subsequently authorized by the individual by contacting our privacy officer via email at PropheticsGallery@gmail.com. Agents, technology vendors and/or contractors of Prophetics Gallery or its affiliates may have access to an individual’s Personal Data on a need to know basis for the purpose of performing services on behalf of Prophetics Gallery or providing or enabling elements of the services. All such agents, technology vendors and contractors who have access to such information are contractually required to keep the information confidential and not use it for any other purpose than to carry out the services they are performing or as otherwise required by law. 4. Data Security.​ We shall take reasonable steps to protect the Personal Data from loss, misuse and unauthorized access, disclosure, alteration and destruction. Our Company has put in place appropriate physical, electronic and managerial procedures to safeguard and secure the Personal Data from loss, misuse, unauthorized access or disclosure, alteration or destruction. However, our Company cannot guarantee the security of Personal Data on or transmitted via the Internet. 5. Data Integrity​ and Purpose Limitation.​ We shall only process Personal Data in a way that is compatible with and relevant for the purpose for which it was collected or authorized by the individual. To the extent necessary for those purposes, our Company shall take reasonable steps to ensure that Personal Data is accurate, complete, current and reliable for its intended use. 6. Access and Recourse.​ We acknowledge the individual’s right to access their Personal Data. We shall allow an individual access to their Personal Data and allow the individual the opportunity to correct, amend or delete inaccurate information, except where the burden or expense of providing access would be disproportionate to the risks to the privacy of the individual in the case in question or where the rights of persons other than the individual would be violated. Individuals may contact our Privacy Officer via email to request access. We are committed to following the Principles for all Personal Data within the scope of the Privacy Shield Frameworks. We are committed to following the Principles for all Personal Data within the scope of the Privacy Shield Frameworks. However, certain information is subject to policies of Prophetics Gallery that may differ in some respects from the general policies set forth in this Privacy Statement.